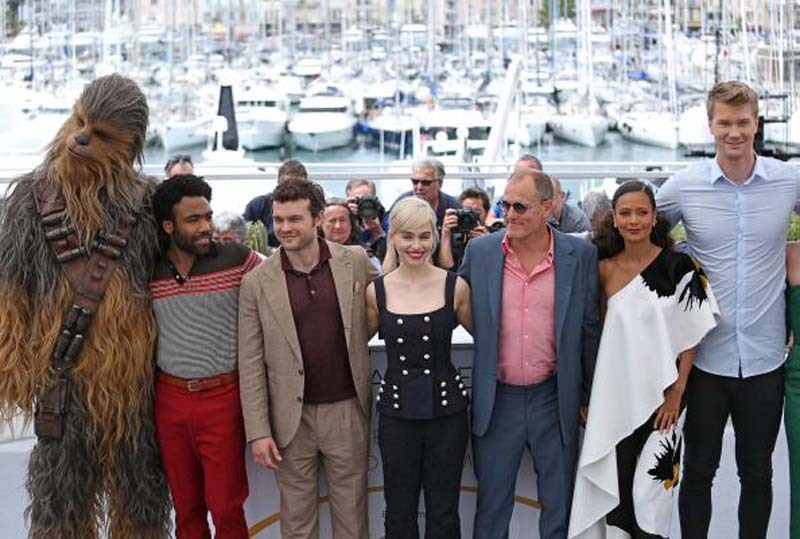 Solo: A Star Wars Story, starring Alden Ehrenreich and Donald Glover, is the No. 1 movie in North America, earning $83.3 million in receipts this weekend, BoxOfficeMojo.com announced Sunday. Coming in at No. 2 with $42.7 million is Deadpool 2, followed by Avengers: Infinity War at No. 3 with $16.5 million, Book Club at No. 4 with $9.5 million and Life of the Party at No. 5 with $5.1 million. Rounding out the top tier are Breaking In at No. 6 with $4.1 million, Show Dogs at No. 7 with $3.1 million, Overboard at No. 8 with $3 million, A Quiet Place at No. 9 with $2.2 million and RBG at No. 10 with $1.1 million.